Does it make a difference if a university student decides to pursue entrepreneurship as his/her major field of study? Should governments, individuals, academicians, NGOs continue to put more investment on entrepreneurship education, expecting it to yield more future entrepreneurs who will subsequently create more jobs, and in turn reduce unemployment level in their economies? These are common questions among scholars, academicians, politicians and individuals, of course, they have not been correctly and satisfactory answered. 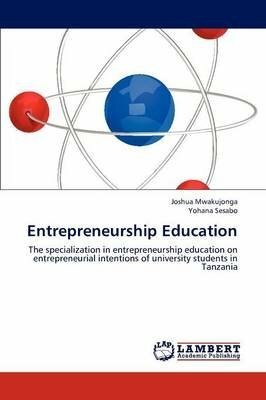 In response to that, the Authors of this six-chapter book have considerably achieved to answer these questions by studying the groups of final year university students in Tanzania. The results indicate it is worth to invest in entrepreneurship education.